This project explores the everyday materialisation of new international borders between Kyrgyzstan and its two Ferghana valley neighbours, Uzbekistan and Tajikistan. In a context where the territorial and institutional coordinates of state sovereignty are contested, how and when does a border come to materialise in daily life? How do herders, traders, border guards, taxi drivers and others negotiate what and where a border is, and what kinds of mobilities it should filter or limit? How do borders work and get worked when the border is encountered as a ‘chessboard’ rather than a line? I began work for this project for my doctoral dissertation, conducting research in the Isfara valley along the borders of Kyrgyzstan and Tajikistan, and the Sokh valley on two sides of the Kyrgyzstan/Uzbekistan boundary in 2004-5. 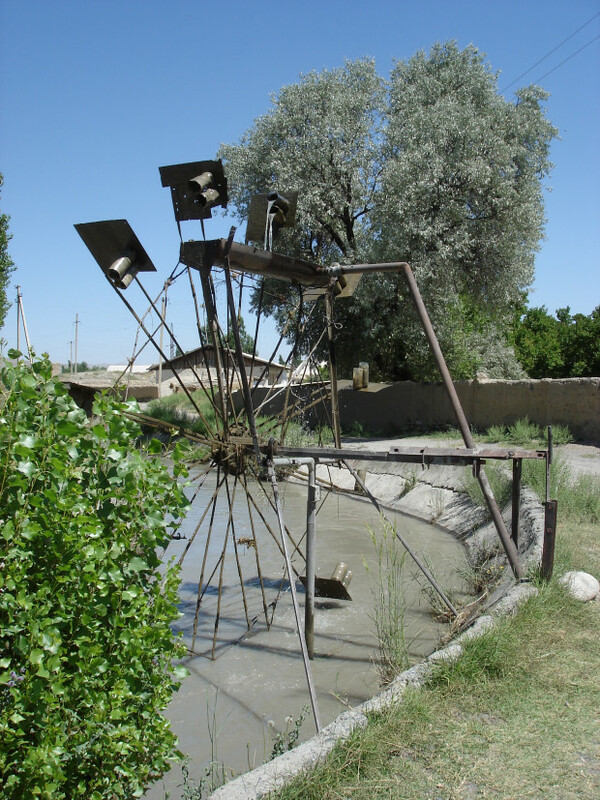 I conducted follow up research in the Isfara valley and Batken town between 2008 and 2010. This research resulted in my 2014 monograph, Border Work: Spatial Lives of the State in Rural Central Asia (Cornell), as well as a number of articles exploring the affective traces of the state in border regions, the phenomenon of ‘creeping migration’ along the Kyrgyzstan-Tajikistan boundary, the ambivalent reception of initiatives of trans-boundary conflict prevention, and the way that accounts of funerals and commemoration of the dead figure in everyday experiences of the violence of new international borders. This entry was posted in Projects on 05/01/2015 by Madeleine Reeves.